On the one-month anniversary of the attack on the U.S. Consulate in Benghazi that killed U.S. 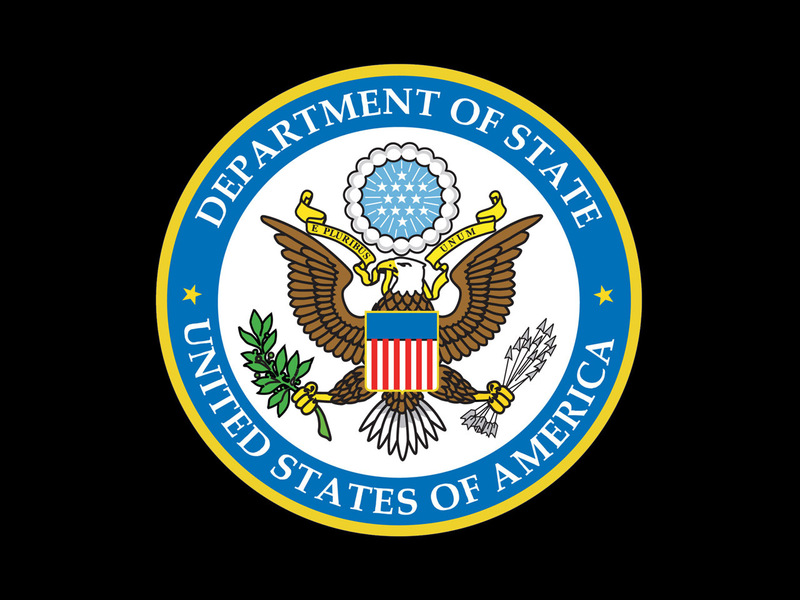 Ambassador Chris Stevens and three other Americans, the State Department announced that it has sent veteran diplomat Laurence Pope to be the U.S. Chargé d'Affairs to Libya. Officials say he received a "warm welcome" upon arrival in Libya Wednesday night. State Department spokesperson Victoria Nuland said this emphasizes the commitment of the U.S. to the relationship with Libya as it moves "forward in their transition to a democratic government." Pope has been described as a "seasoned diplomat." Previously, Pope served in a number of senior posts, including Associate Director for Counter-Terrorism from 1991 to 1993. Former President Bill Clinton nominated Pope to be the Ambassador to Kuwait. Secretary of State Hillary Clinton asked Pope to return from retirement in order to serve in this interim Ambassadorial role as the State Department reviews what its presence in Libya will be following the brutal assault on its compound on September 11th, 2012. Pope speaks Arabic and French. While officials continue to say there has been decision about the future of the diplomatic mission in Libya going forward, in a statement, the State Department said Thursday: "We will continue to assist as Libya builds democratic institutions and broad respect for the rule of law - the goals that Ambassador Stevens worked hard to achieve." The move to maintain a diplomatic presence with an experienced diplomat in the wake of the deadly Benghazi attacks is in line with recent State Department statements about its commitment to Libya. The security in Benghazi ahead of the attacks there has become something of a political issue, with Republicans seizing on the claim that the State Department had nor properly safeguarded its assets there. In a contentious House panel hearing on Wednesday on security issues ahead of the Benghazi attacks, House Oversight and Government Reform Committee chairman Rep. Darrell Issa, on one of several combative moments between lawmakers and witnesses, told a State Department official that claims of there having been the correct level of security in Benghazi didn't "ring true" in light of the deadly attacks. Following the hearing, Under Secretary of State for Management Patrick Kennedy told reporters at an impromptu press conference that the U.S. did what it was supposed to, and intends to keep working with the fragile Libyan government closely, but it is unsure if it will put another consulate in Benghazi. "We still regard it as a very, very critical location in our overall engagement with the government of Libya. But a final decision on how, when, or if we can go back is - has not yet been made," Kennedy said. Amid persistent questioning about the alleged lack of sufficient security in Benghazi, State Department officials have been defensive about their procedures. Kennedy, at his press conference, echoed that defense, saying it is impossible for diplomatic missions to only operate where security is robust. "The State Department goes into inherently dangerous places all the time. That's our mission. We have to operate forward. We're there when the military is not there. We're there when others are not there. If we were to end risk, we would close 275-odd missions and withdraw to the United States," Kennedy said. Colonel Hamid Hassi, a senior Libyan army officer, told CBS News correspondent Elizabeth Palmer he believes American intelligence knows exactly where the alleged Benghazi attackers - the militant group Ansar al Sharia - are at all times. Americans are watching Ansar al Sharia all the time, he said, from the sky. Hassi said a drone strike would be a mistake, and that any strike would have to have to come from "our side," or there would be huge problems between the U.S. and Libya. A unilateral U.S. strike risks turning the sorrow and sympathy that followed the death of Ambassador Stevens into bitter resentment. "America and Libya should work together on catching the men who attacked the consulate," he said. "But if the Americans act alone it will cause huge resentment and could destabilize the whole region." Hassi said he believed Americans should not quit the area around Benghazi. "We have to concentrate on Eastern Libya," said Hassi, who confirmed that fighters with links to al Qaeda are still living and operating in the area under his command. "If we don't, we won't only lose control in Bani Walid, we will lose the whole North African coast."